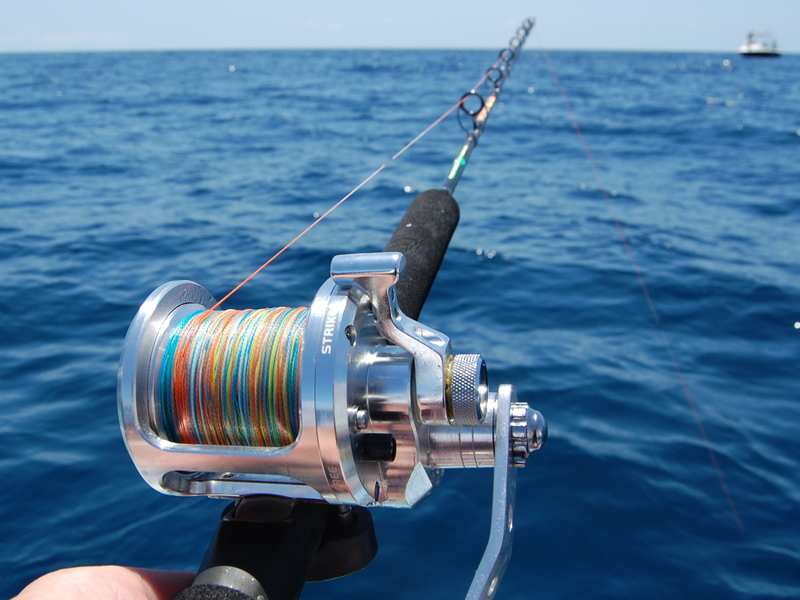 Getting yourself in the mid blue sea for fishing would be a great excitement, but being failed in catching the marlin, tuna and sea trout would make any people frustrated. That’s why avoiding to learn the sea fishing tricks would be a mistake that basically you shouldn’t do. Literally a month of inshore fishing experience wouldn’t make you completely prepared for offshore fishing. It takes time to grow up your fishing skills and finally make you prepared to move into the deep sea to start fishing. So when you are thinking to become a master of catching large tuna, marlin, wahoo, get started everything through following the basic techniques. It is true that your small size spinning reel and a normal graphite rod shouldn’t go with you. Because they end up their service to catch the panfish and medium bass, trout. You have to separately purchase a powerful & sturdy spinning reel that has the higher line capacity and a corrosion resistant body. When you are picking the rod for offshore fishing, a high size graphite rod with medium to fast action approximately enough. As well, you must use high size circle hooks, fish grippers, 10-12 lbs test line and catching net to properly lift up a fish in your boat. If it is possible, also use a high performance fishfinder to enhance your success rate. There is a conflict regarding what type of bait or lure can attract great?. Basically, both have different advantages and right now I wouldn’t go for a debate. Because in some cases your success depends on your presentation. If you want to use the live baits, the shrimps, clamps, sand fleas and small fishes can attract well. But make sure they are in a good shape for a better presentation. On the other hand, if you want to use artificial lures, bucktail jigs, flutter jigs, white bucktail, crankbaits and gold spoons are the most popular ones. Marlinmag.com also has a good guideline with some great examples of offshore lures. Finding the hotspots in the sea is a crucial job, but if you know where the fish are located, then getting hooked a fish would be more easier than the way you cast blindly. So you should have a fish finder that can scan and find the fishes into salt-water and deep water. If you can mark a hotspot and cast the line in a group of aligned fishes, then your success rate would be increased than your expectation. Although sometimes getting a powerful fishfinder would cost you a lot, but if you have the one and know the right usage, then it would be secret of your success. Here is a video from Outlaw Angling that gives a great tutorial for finding the hotspots. I am not saying that you should purchase a boat. But you can hire a boat or fishing charter from the shore to make a better fishing experience with your friends. Basically, you can simply meet the company at the shore that rents the boat to people for fishing. One of the great things those companies can do, you can get some valuable tips from them and when you are hiring a boat, make sure the captain maneuvers well and has good fishing related experience. In truth your first journey in offshore wouldn’t be as great as you have been caught the fishes on the lake, river and pond. You need patience and there isn’t any guarantee that you be succeeded in there. So have fun as much as you can and be patience. Moreover, if you get a fish hooked, be steady to handle it and don’t be nervous. Why Should You Use A Fishing GPS?